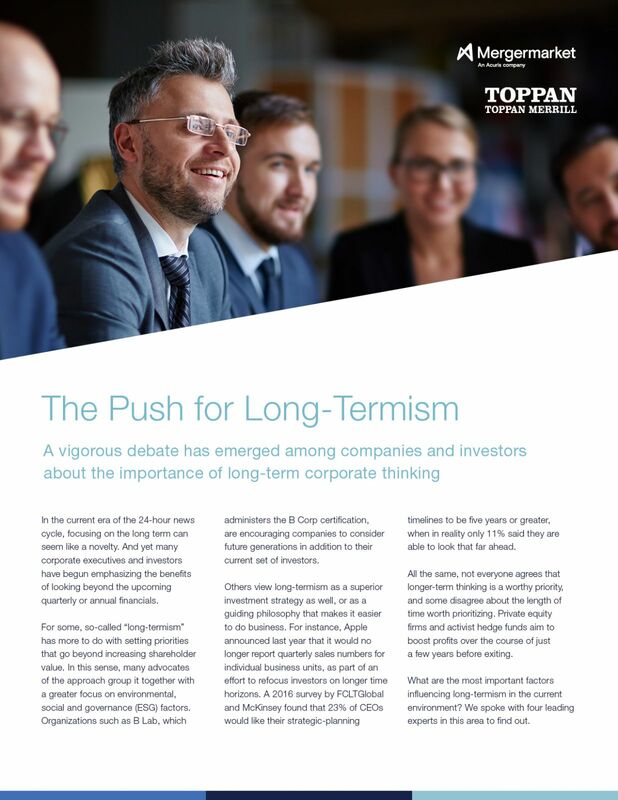 To explore the most important factors influencing long-termism in the current environment, Toppan Merrill commissioned Mergermarket to speak with four leading experts for their insights. • What effect, if any, has the push for ESG investing had on efforts to move toward long-termism? • Do you think recent interest in passive investment strategies makes it easier for companies to focus on the long term? • Are there particular regulatory changes you think would be effective at encouraging longer-term thinking at companies?